GitHub - benlawson/knowledge-repo: A next-generation curated knowledge sharing platform for data scientists and other technical professions. 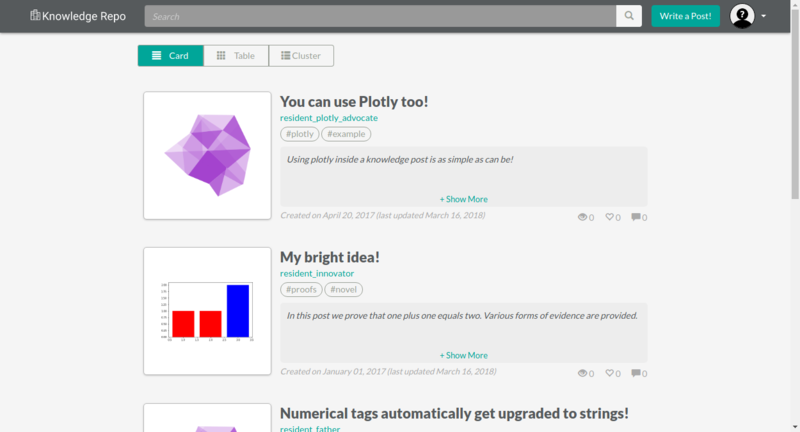 A next-generation curated knowledge sharing platform for data scientists and other technical professions. Want to be notified of new releases in benlawson/knowledge-repo? Pull request Compare This branch is 1 commit behind airbnb:master. The Knowledge Repo project is focused on facilitating the sharing of knowledge between data scientists and other technical roles using data formats and tools that make sense in these professions. 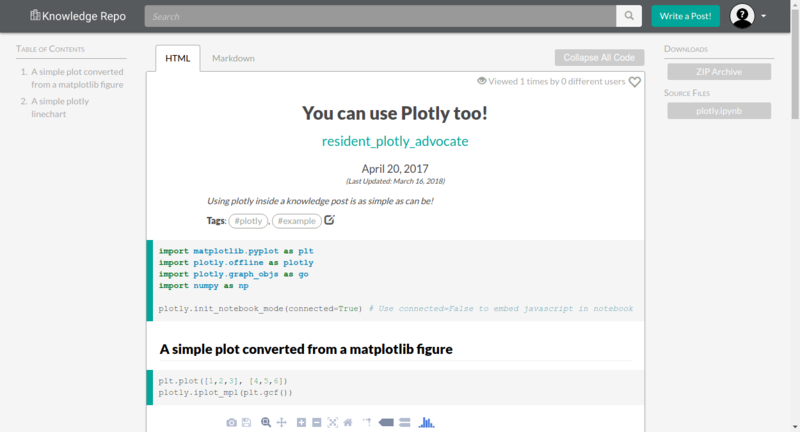 It provides various data stores (and utilities to manage them) for "knowledge posts", with a particular focus on notebooks (R Markdown and Jupyter / IPython Notebook) to better promote reproducible research. For more information about the motivation and inspiration behind this project, we encourage you to read our Medium Post.